It’s good to be back in Holland ! I have a list of cities that I want to visit and one of them is Delft. 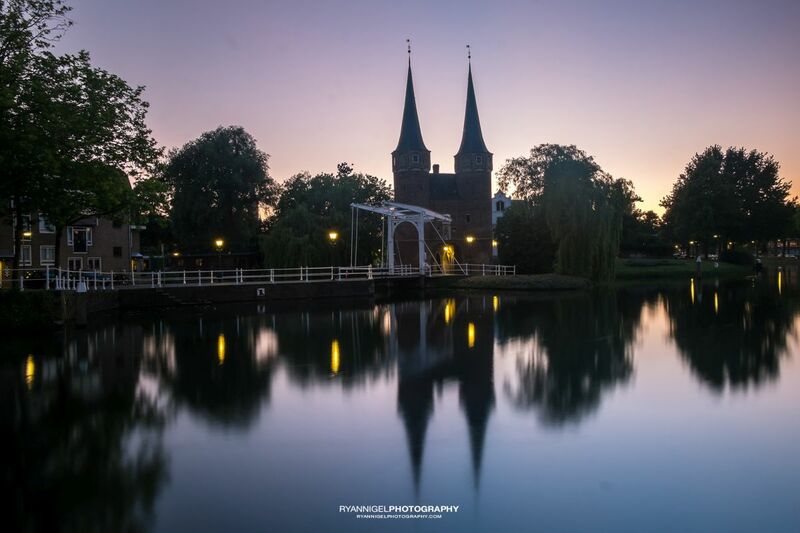 Delft is a town in South Holland, near The Hague, and offers a lovely old city center. 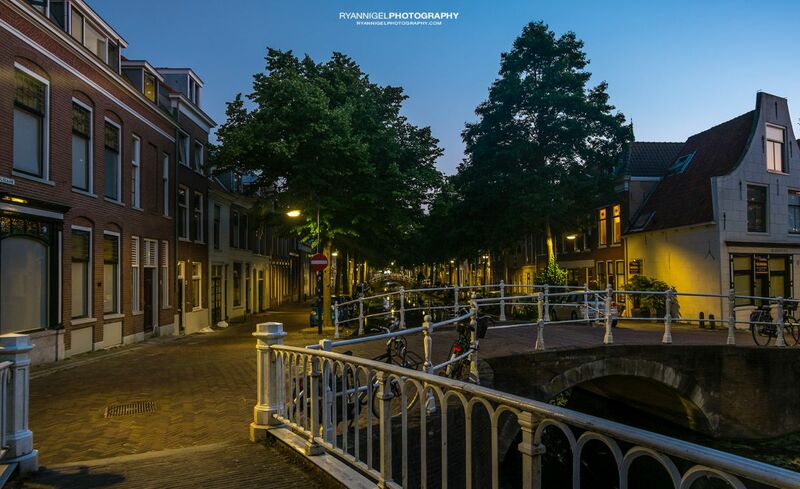 Besides that there are loads of small canals, like Amsterdam, giving the old city center something special. 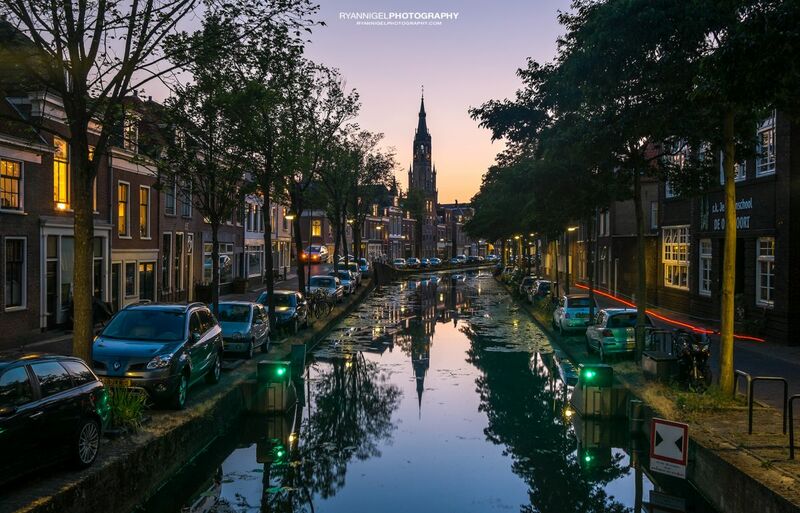 The exquisite medieval centre of Delft is a hugely popular Dutch day-trip destination, with visitors flocking to stroll its narrow, canal-lined streets, gazing at the remarkable architecture and learning about the life and career of Golden Age painter Johannes Vermeer. The artist was born in Delft and lived here – View of Delft, one of his best-loved works, is an enigmatic, idealised vision of the town. Delft is synonymous with its famous Delftware, the distinctive blue-and-white pottery originally duplicated from Chinese porcelain by 17th-century artisans. Founded around 1100, Delft grew rich from weaving and trade in the 13th and 14th centuries. In the 15th century a canal was dug to the Maas river, and the small port there, Delfshaven, was eventually absorbed by Rotterdam. Today it has a thriving university which is renowned for its architecture faculty. 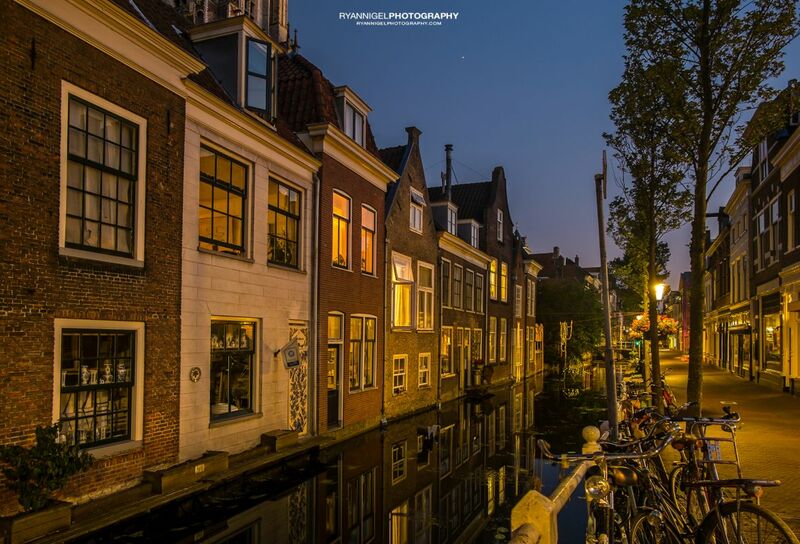 In the evenings, locals fill the bars and restaurants and the lamplit canals are idyllic for a romantic stroll. It’s well worth staying on after the daytime crowds have left. It’s also a student city. The University of Technology is located there and is one of the 4 leading univerities in Holland. Also the UNESCO-IHE Institute for Water Education, providing postgraduate education for people from developing countries, draws on the strong tradition in water management and hydraulic engineering of the university. What you need to bring is a tripod, remote shutter release, standard zoom and wide angle. No need for high iso capable bodies. you’re shooting with a tripod. Standard zoom should be something like a 24-70 or 24-105mm. (or eqv. if you shoot with a crop sensor). Turn off the long exposure noise reduction. It gives better results. This photoshoot was done with sunset light. I was hoping for some clouds to give so drama in the sky but unfortunately they didn’t come…. 🙁 The problem with sunset light is that it don’t last long. I made a walking route to shoot some canals, churches and bridges. I will go back to do a second shoot and I will walk in the opposite direction. 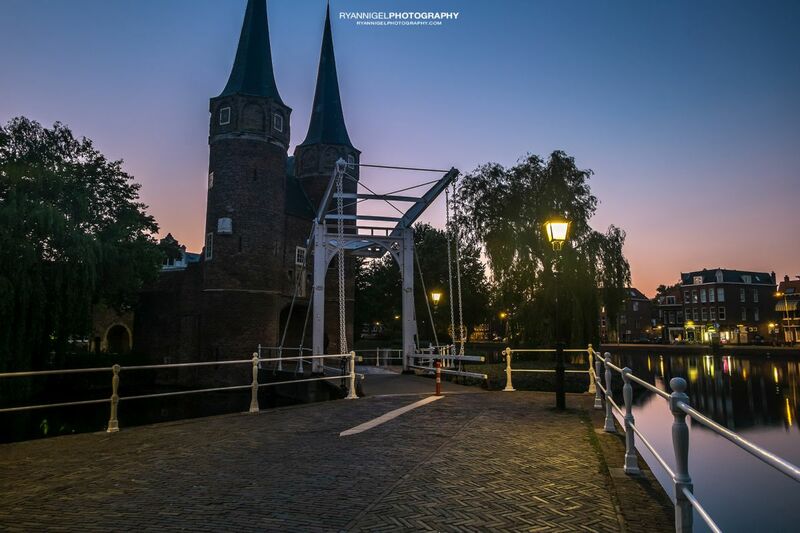 A nice place to start is the Oostpoort (East Gate). From there you can walk through the old city center and see all the canals, squares and churches. Like I said, it’s also a tourist place so there is tons of info on the web. Here are some links were you can find more info about this lovely city.